Rochelle Riley writes in her Detroit Free Press column that squabbling between Detroit's executive and legislative branches is not unlike the situation in Pontiac, Mich., two years ago, when then-Gov. Jennifer Granholm was forced to appoint an emergency manager. Michigan's current governor, Rick Snyder, may find himself in the same situation in Detroit, she writes. 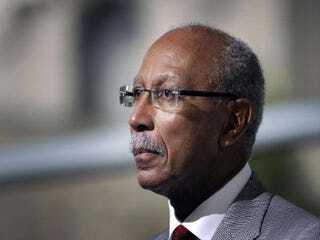 Charles Pugh recalled interviewing then Gov. Jennifer Granholm two years ago about her decision to appoint an emergency manager to oversee Pontiac's finances. "The final straw for her, she told me, was that the mayor and council could not be on the same page. They were fighting each other's proposals," Pugh, the TV reporter turned president of the Detroit City Council, said in an interview Friday. "This situation (in Detroit) is different," he said. Although Pugh rightly says the council is pushing Mayor Dave Bing farther than he wants to go in resolving the city's fiscal crisis, the bottom line is this: Detroit's legislative and executive branches of government are oil and water. Read Rochelle Riley's entire column at the Detroit Free Press.